The critical engagement process included national environmental agencies, ministries, local experts and global conservation organisations, who collaborated to pull together all available data and use it to create input layers utilised within the MARXAN prioritisation. The stakeholder engagement process received contribution from over 140 other institutions and 270 individual stakeholders. Draft outputs were peer-reviewed through a series of technical workshops that enabled experts to improve the mapping, fill data gaps, contribute to the Spatial Prioritisation, and review and confirm findings. The Biodiversity project was the first of its kind in the region. From the data and knowledge shared, the project has compiled key inputs to the conservation planning process, such as an integrated habitat map, pressures layers and protected area layers. These have been used to develop initial draft ecosystem threat status and protection level assessments. Contributing stakeholders were invited to review the collation of the national level spatial data and provide feedback on assessments. It has been a remarkable effort by a large number of people, and helps to meet AGEDI’s vision of empowering people through provision of better quality environmental data. The LNR project suitably fits the objectives and programmes of UNEP in West Asia and contributes strongly to the science-policy nexus which it seeks to strengthen. We look forward to putting the results of the project into actions and linking its information base to the policy makers to curb biodiversity loss effectively and achieve environmental governance in the region. The Project supports the enrichment of environmental databases, enhancement of cooperative and collaborative work, and improvement of level and quality of environmental work-planning in areas of biodiversity conservation, natural resources protection, and planning of future land uses. It is first important and essential step for utilsation to inform relevant decision-making processes based on information obtained from well-defined processes and methodologies. The LNR project managed by AGEDI and Environment Agency – Abu Dhabi is a pioneering initiative that succeeded in developing these channels of partnership, and draws a common understanding on the natural resources we have in the Arabian Peninsula and the threats to these resources. In addition, this project contributes to collective efforts from a variety of resources to create a single, readable and integrated map, which will contribute to future effective management of natural areas based on a solid scientific background. The LNR results can be used effectively in any future decision-making process, especially when natural resources conservation competes with human development. 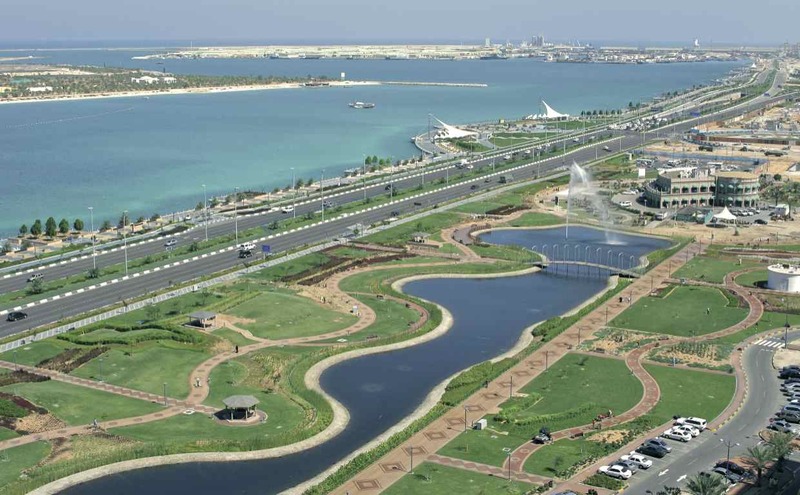 The priority list delivered from the project will definitely influence the planning and zoning activities for years to come, as natural, biodiverse areas are increasingly becoming an essential part of the urban setting of Abu Dhabi, the UAE, and the region. They are truly becoming the lungs of the city and the most effective stress-releaser of the modern lifestyle. I feel privileged to have been given the opportunity to contribute to this effort and have a newfound appreciation for local, national and regional biodiversity. By completing the first systematic biodiversity assessment for the Arabian Peninsula, the AGEDI team and the LNR Biodiversity Project have shown what can be achieved through extensive data- sharing across the region. The ability to properly identify priority conservation areas enables nature conservators to direct resources where they are most needed and ultimately meet biodiversity conservation targets at local, national and regional levels. I wish to congratulate AGEDI on their preparation of the first regional systematic conservation plan. In the last 15 years, conservation planning has emerged as a major focus for those concerned with land preservation and biodiversity. While endangered species protection is a key part of such efforts, the purposes of conservation planning are much broader: to ensure that significant parts of all landscapes and species remain viable permanently into the future. The Arabian Peninsula has unique habitats, home to rare and threatened species, and idenifying and prioritising these habitats will help tackle the regional and global challenge of habitat degradation and species extinction.